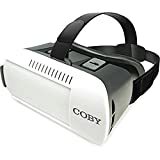 The Oculus Go Virtual Reality Headset was built to bring the splendor of virtual reality to more users. With a strong focus on affordability without sacrificing build quality, Oculus seems to have achieved their goal. The Oculus Go VR Headset is a complete standalone unit … [Read more...] about Where To Buy The Oculus Go Virtual Reality Headset?